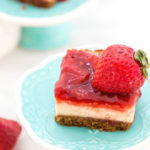 I have mentioned this before that I prefer no-bake and mini cheesecakes over the huge ones because the regular sized cheesecakes are so heavy that I am never able to finish a slice. And also it’s difficult for the 2 of us to finish a 9 or 10 inch cheesecake! I mean that stuff is heavy. We went to The Cheesecake Factory a lot of times in the past few weeks, the reason was my brothers who just fell in love with their cheesecakes. Can’t blame them, their cheesecakes are to die for and there’s so much to choose from. My brother (the elder one) loved it so much that he wanted to learn how to make cheesecake at home and since it was father’s day that day I thought of going all out and teach him how to make a super indulgent cheesecake. 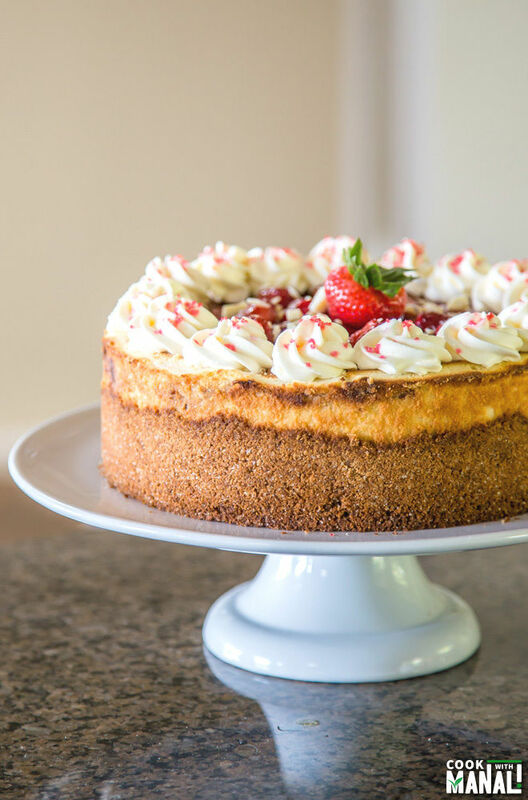 Yup, the one loaded with CALORIES and so I made this White Chocolate Strawberry Cheesecake! And the best compliment this cheesecake received was from my brother himself, he said this is as good as the one from The Cheesecake Factory! I think he was surprised that one could actually make yummy cheesecakes at home! I am really missing my family as I write this. They left for India yesterday, the house feels so deserted and lifeless 🙁 The only thing that cheers me up is that I will see them in 5 months so that’s not too far. Anyway coming to this cheesecake. White chocolate and raspberry is the more popular combination in the baking world but since I had a big jar of strawberry jam and some fresh strawberries lying in my refrigerator I thought why not give this combination a try? And I must say it turned out delicious, actually anything with berries is always a winner in my book! 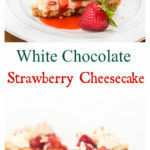 To make this white chocolate strawberry cheesecake is really simple. All you need to mix in everything together and then bake. 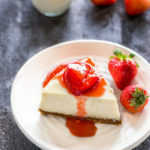 Once the cheesecake is baked, let it set in the refrigerator for 24 hours and then make the strawberry sauce and pour over it. I have noticed that people are little intimidated by cheesecakes, trust me they are not hard to bake at all. I don’t even use the water-bath method. You can totally (& probably should!) do it if you want but I didn’t. I am just lazy and especially when I have to cover the cheesecake with some sauce, I bake it as such. I mean few cracks are really okay, I had a little one on this cheesecake too! I am sure you can see that I over-baked my cheesecake a little. It’s a little too brown for my liking, the texture and taste were still perfect but it shouldn’t have been this brown. I baked this in my new oven and as you know every oven is different and since I lost my oven thermometer I couldn’t even check the accuracy of this new oven. Oh well I will get a hold of this new oven very soon too! 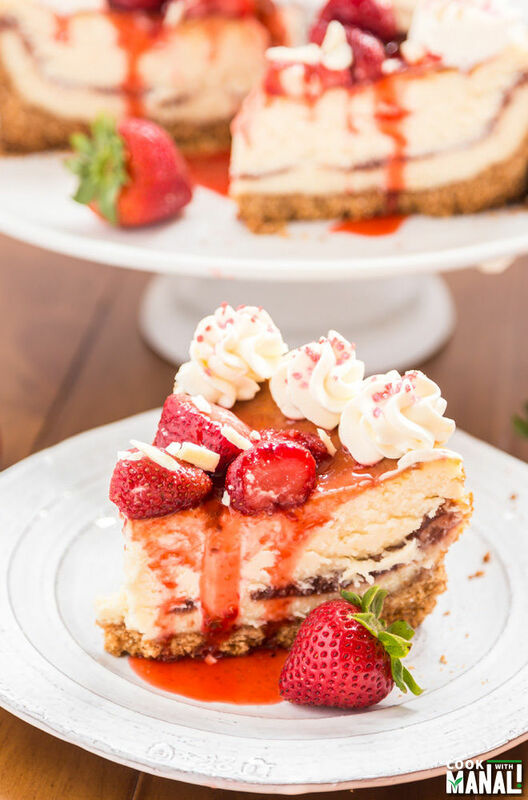 This White Chocolate Strawberry Cheesecake in the perfect decadent dessert to celebrate just about any occasion, would be great for 4th of July too! Using a food processor, crush the graham crackers. You need 3 cups of graham cracker crumbs for this recipe. Transfer to a bowl and add granulated sugar to it and mix. Add melted butter and and mix till crumb is moistened. Transfer the crumbs to a 9 inch springform pan and press on the bottom and sides of the pan. Use the back of your measuring cup to press down the crumbs firmly. Bake the crust at 350 F degrees for 7-8 minutes. Remove from oven and set aside. To make the filling, start by beating room temperature cream cheese using paddle attachment of your stand mixer or your hand mixer. The cream cheese should be at room temperature because we want the filling to be totally smooth. There shouldn’t be any lumps. Add sour cream, granulated white sugar and vanilla and mix till well combined for around 2-3 minutes. Be sure to scrape down the sides and bottom of the bowl. Melt white chocolate chips in your microwave, stirring them after every 20-30 seconds. This is important so that the chocolate doesn’t seize. Let the chocolate cool down a bit and then add to the batter and mix. Finally fold in the flour. Do not beat the batter too much at this point. Sprinkle 2 oz of white chocolate chips on the bottom of the crust. Pour 1/2 of the filling over the crust. Microwave strawberry jam for 30-45 seconds so that it’s easier to spread. Pour jam over the filling and make swirls using a knife. Pour the remaining cheesecake filling on top. Bake the white chocolate strawberry cheesecake at 325 F degrees for 55-60 minutes or until the top of cheesecake is light brown in color. The center of the cheesecake should still be little jiggly. Once the cheesecake is baked, switch off the oven and let the cheesecake sit inside the oven for 1 hour [with the oven door slightly open]. After 1 hour take the cheesecake out of the oven and let it cool down. Once the cheesecake has cooled down, keep in the refrigerator for 24 hours. I highly recommend chilling the cheesecake for 24 hours but if that’s not possible, chill for a minimum of 6 hours. 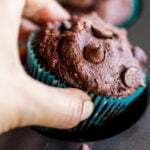 * It will be better to use good quality high chocolate rather than white chocolate chips here since the chocolates melt better than the chips. I used the chips since that is what I had in my pantry. * I would have loved to use more white chocolate chips on my crust. Since I only had 2 oz left I used that. You can use 4 oz or even more. * You can make white chocolate raspberry cheesecake in exactly the same way. In place of strawberry jam, use raspberry preserve/jam and use fresh raspberries in the sauce! 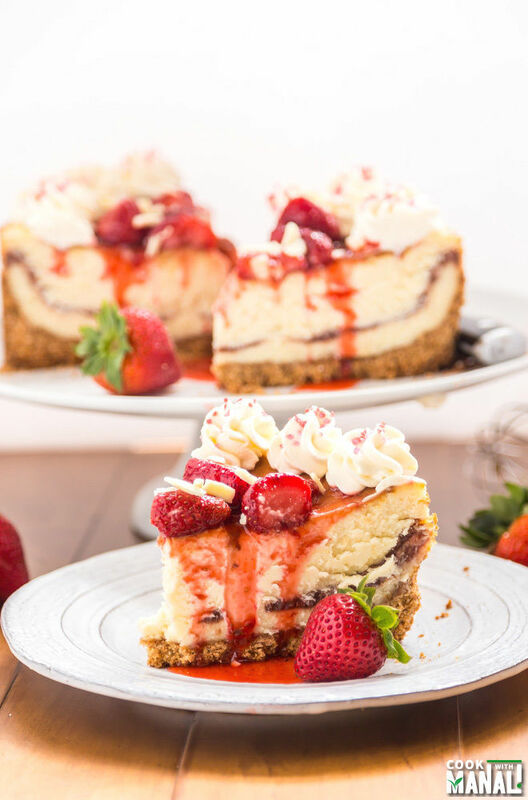 Decadent, indulgent White Chocolate Strawberry Cheesecake is the perfect dessert to celebrate! Transfer the crumbs to a 9 inch springform pan and press on the bottom and sides of the pan. Use the back of your measuring cup to press down the crumbs firmly. Bake the crust at 350 F degrees for 7-8 minutes. Remove from oven and set aside. To make the filling, start by beating room temperature cream cheese using paddle attachment of your stand mixer or your hand mixer. Add sour cream, granulated white sugar and vanilla and mix till well combined for around 2-3 minutes. 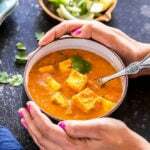 Be sure to scrape down the sides and bottom of the bowl. Melt white chocolate chips in your microwave, stirring them after every 20-30 seconds. Let the chocolate cool down a bit and then add to the batter and mix. Finally fold in the flour. Do not beat the batter too much at this point. Sprinkle 2 oz of white chocolate chips on the bottom of the prepared crust. Pour 1/2 of the cheesecake filling on the top of the crust. Microwave strawberry jam for 30-45 seconds so that it's easier to spread. Pour the jam over the filling and make swirls using a knife. Now pour the remaining cheesecake filling on top. Bake at 325 F degrees for 55-60 minutes or until the top of cheesecake is light brown in color. The center of the cheesecake should still be little jiggly. Once the cheesecake is baked, switch off the oven and let the cheesecake sit inside the oven for 1 hour [with the oven door slightly open]. After 1 hour take the cheesecake out of the oven and let it cool down. Once the cheesecake has cooled down, keep in the refrigerator for 24 hours or for a minimum of 6 hours. Make the strawberry sauce by heating strawberries with 1 tablespoon water and granulated white sugar in a pan on medium heat. Stir till the sugar melts and dissolves completely, around 2-3 minutes. In a bowl, mix together fresh lemon juice and cornstarch. Add the cornstarch liquid to the strawberry sauce and cook for another 3-4 minutes or till the sauce thickens. Remove from heat. Let it cool down a bit. Pour the prepared strawberry sauce on top of the cheesecake and garnish with white chocolate curls. Cut the cheesecake into slices, top with some whipped cream and serve. New York Style Cheesecake + Tips to make the perfect cheesecake! You had me at white chocolate, Manali! Cheesecake is my weakness! This looks absolutely amazing. I love the white chocolate and strawberry combination! Thanks Gayle, white chocolate is awesome! I hope you had a great time with your family while they were here, the five months will fly by and they’ll be back before you know it! I love love love cheesecake, but have never had it with white chocolate in it. Such a great idea! I’d love a slice for breakfast right now! haha my brothers did eat it all! Thanks David, that’s exactly why I don’t make this too often. Cheesecakes are delicious and it’s hard for me to resist! 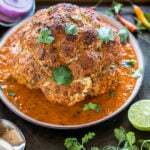 Manali this looks so delicious. I am always scared to make baked cheesecakes but you have done a great job girl!! Pinned! White chocolate and strawberries just go so perfectly together. I think this would be a great addition to any summer garden party! Thanks Dannii, yes perfect summer dessert! You know Manali, with you living so close, I’m just going to buy a house near you so that I can eat all the goodies you make! And, I’ll keep you company too. I am so sorry you are missing your family! Do that!! I will be the happiest person! 5 months…you can do it! But I know you’ll be counting every minute, Manali! In the meantime – you have cake…and not just any cake. This is what the word ‘divine’ was created for! Beautiful! Thanks Annie 🙂 I really can’t wait to fly to India in November! I am wanting to reach right through the screen and steal a taste! This cheesecake looks so decadently delicious! Love the white chocolate and strawberries. Well done, Manali!! This is beautiful- definitely on my ‘must-try’ list 🙂 Thank you! You are truly the baking queen! This looks so amazingly delicious with white chocolate and strawberries. I’m so glad you had great time with the family Manali! This cake is gorgeous! Pinned! So glad you had a great time with your family. Hope these 5 months for you all until you see them again. This cheesecake looks gorgeous! 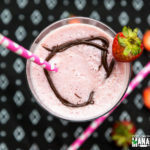 Love the white chocolate and strawberry combo! Thanks Kelly, the combo is awesome! Wow, Manali, this strawberry cheesecake looks stunning! I want a bite. 🙂 I know how you feel, my family doesn’t live in this country either and it’s always hard when it’s time to say goodbye. But I am happy that they are coming over next week to visit for several months! 🙂 Hope your 5 months go by fast! Thanks Neli, goodbyes are hard! This is one berry-licious cheesecake, Manali, and I love the addition of white chocolate! Pinned. I couldn’t agree more. I am a huge fan of no bake recipes and mini desserts. Something about them just makes them taste better. This cheesecake sounds fantastic! 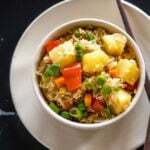 Yum Manali! White chocolate and strawberries are the best combo. This sounds sooo tasty and delicious – perfect for my sweet tooth. Love it! Thanks Harriet! It’s an amazing combination! This look scrumptious! My mother is huge fan of white chocolate and strawberries and this is definitely something she’d love! I totally love strawberries and this cheesecake looks SO pretty! This is hands-down the prettiest cheesecake I’ve ever seen, Manali! No contest with the Cheesecake Factory! Girl, The Cheesecake Factory has got nothing on you! This cheesecake is beautiful and I’m sure it tasted heavenly with white chocolate and strawberries. I’m glad you got to spend some quality time with your family and I hope the next 5 months go by quickly until you see them again! Yum! I would totally have a slice of this cheesecake for lunch right now. Who needs lunch food when you have delicious cheesecake? I know right? Thank you dear! Manali, cheesecake looks very delicious! I can enjoy a slice of this, right now! I understand, home feels lonely after your parents left, but, hey, they will be back in 5 months? I think, you should be excited about it! Thanks Cyndi! 🙂 Cheesecake sure helps! Have a great weekend! 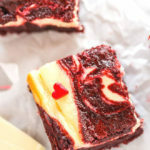 I love cheese cakes..I’m so scared to make it at home as I will sit and finish it..lol….You have made this with so much of love..I can see it..It looks super yummy! !….Please pass me a slice! !…Btw..don’t worry dear 5 months will fly! !..Have a great weekend!! Thanks Padma! 🙂 Yeah they are loaded with calories, thank god I had family to share it this time!